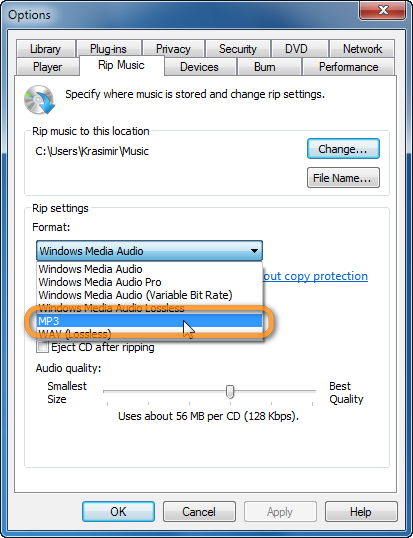 How to transfer CD music to iPhone without iTunes? 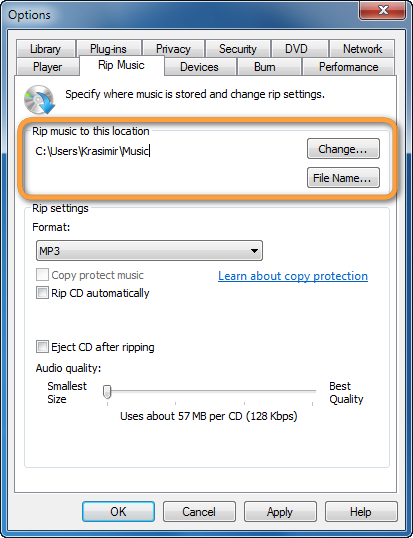 Home » How to transfer CD music to iPhone without iTunes? 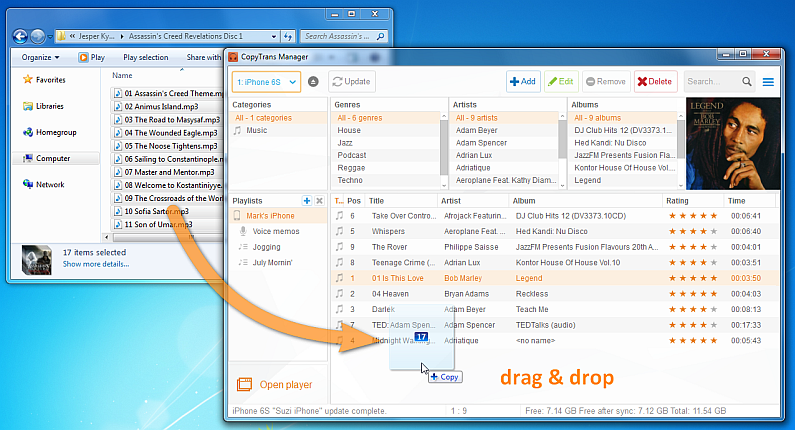 The easiest way to transfer music from a CD to an iPhone or iPod without iTunes sync is via using CopyTrans Manager. 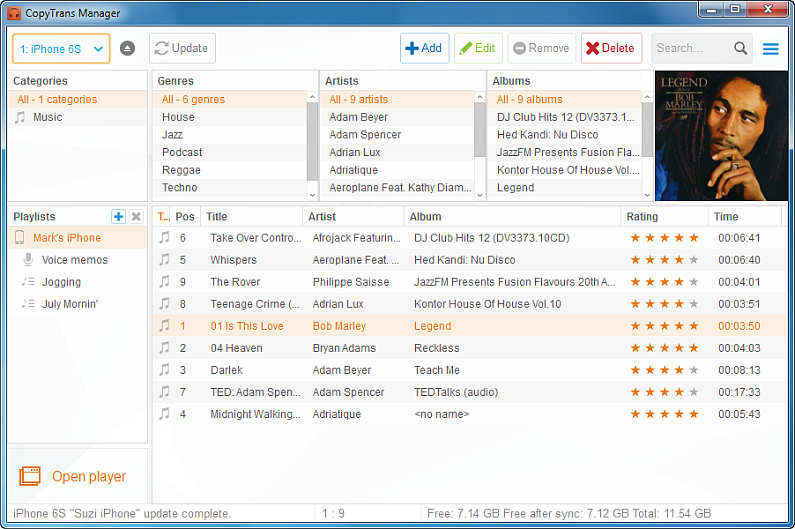 CopyTrans Manager is the free iTunes alternative. It helps you add songs to any iDevice, including all iPod and iPad models, iPhone X, iPhone 8, and more. Insert the CD into the PC. 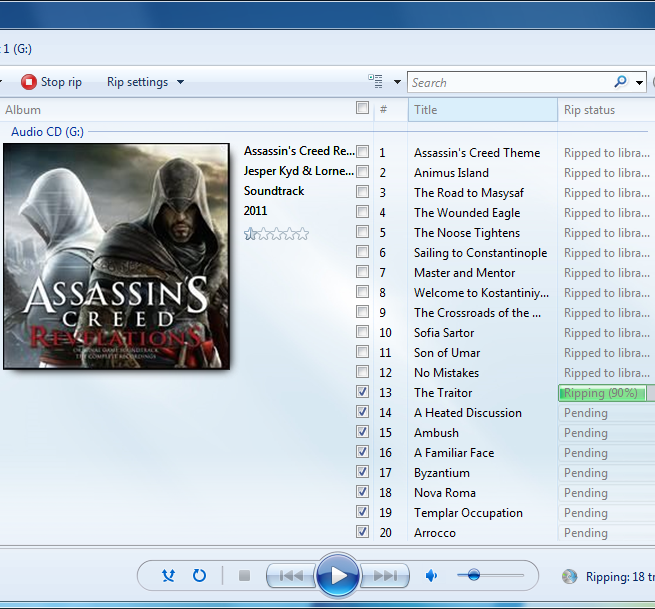 NOTE: you can use any other program that allows you to rip the CD songs into MP3 format. Let the ripping complete. It shouldn’t take long. 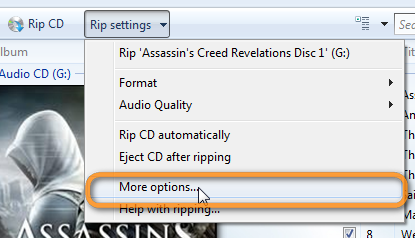 Open the PC folder where the CD songs were transferred to. Run CopyTrans Manager and connect the iPhone, iPod or iPad to your PC. CopyTrans Manager lists any songs and playlists you may already have on the iPhone. 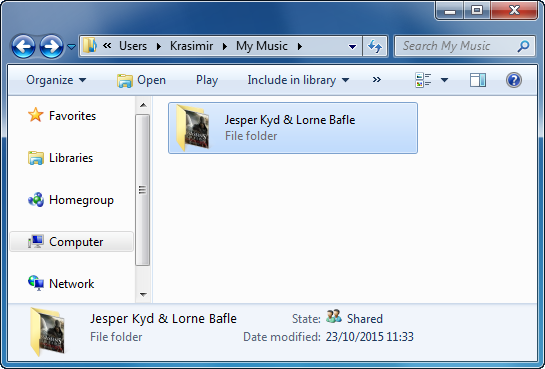 Now drag and drop the songs from the PC folder to the main CopyTrans Manager windo:. 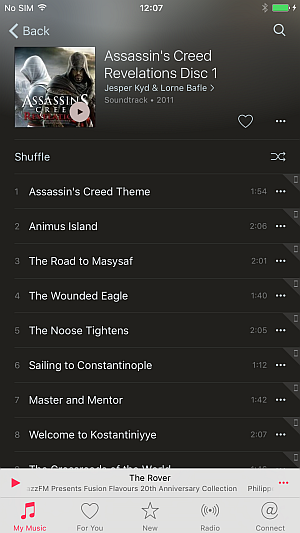 The CD songs are now copied to the iPhone. Enjoy! 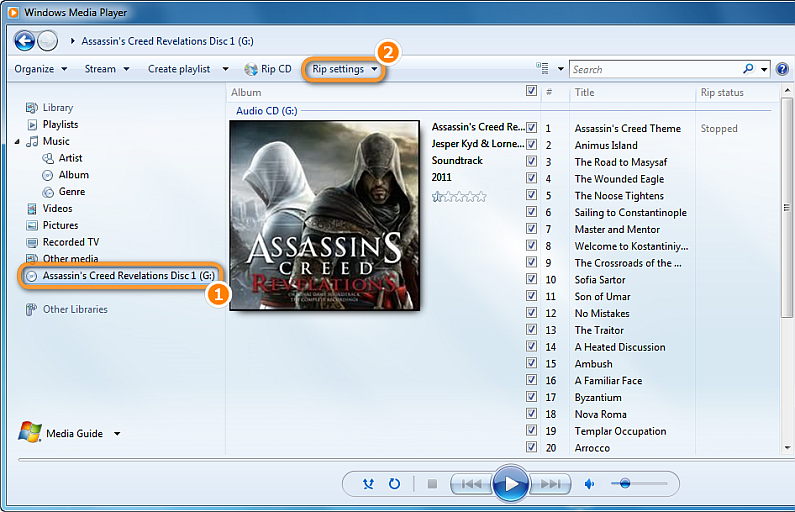 How can I change the order of tracks within playlists/albums?